In this post: Celebrating my Dad’s legacy and teaching my youngest about his Papa in Heaven. 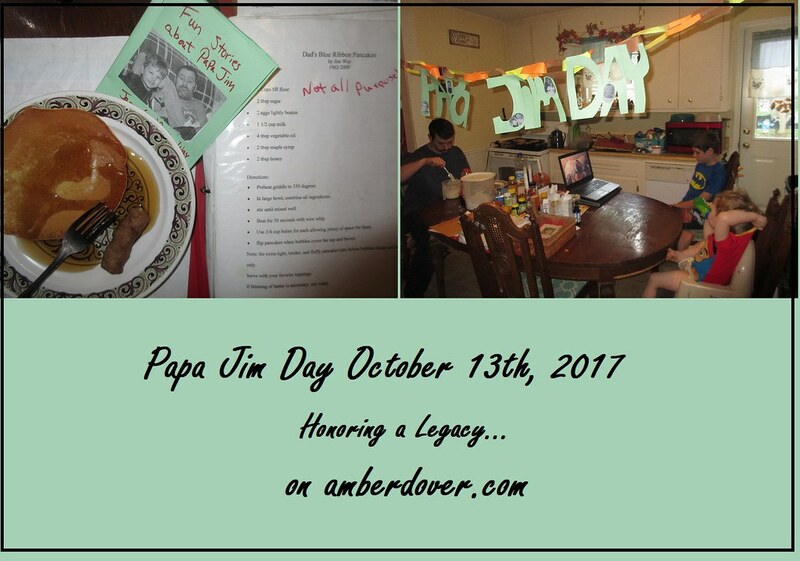 Recipes, poetry, and videos honoring my Dad, Jim Way. Hello, dear ones! I hope you’re having a Happy Thanksgiving. I’m catching up on Fall posts. This year we started a new holiday, Papa Jim Day. My Dad died in October 2009 and he never met my youngest son. Michael was three and only remembers so much. I want to keep the memory of my Dad alive. So this year we celebrated Dad’s memory on his birthday, October 13th. We looked at pictures and told stories. I hung a banner with Dad’s pics. We watched a memorial video I made with Dad’s poems, sermons, and clips from him singing and joking with us before he died. I’ve included it at the end so you can learn about the “Poetry Man”. Here’s Michael reading one of Dad’s poems. The guys had my Dad’s favorite coffee, Jamaican Blue Mountain. We got the cheap stuff. My Dad was a true connoisseur of Coffee. He ordered the expensive brands. My boys are a lot like their Papa. My Dad was a musician and poet. Michael certainly follows in those footsteps. He also has a deep faith like my Dad, who was a preacher. Leeland has my Dad’s mischievous side. Dad could be very silly and charming. We watched one of Dad’s favorite movies, Toby McTeague. Later that weekend, we traveled to my hometown to visit Dad’s Grave and leave a Fall wreath. Leeland asks about Papa Jim now and I tell him that Papa Jim is in heaven with Jesus. I’m glad my Dad isn’t forgotten.